Do you find yourself dealing with a lot of rubbish left over from worksite projects? If so, you probably do not have a lot of time to dedicate to cleaning up and removing it from the work sites. If this sounds you, then it may be time to consider hiring a Dorset commercial waste collection service provider. ​Of course, there are probably hundreds of these local businesses in Dorset, which will make it very difficult to select just one from a search results list. Below, you will discover several tips on how to find a reputable junk removal company. A commercial business will have various types of rubbish that needs to be disposed of properly. Many removal companies will only collect certain types of rubbish, leaving the business to deal with the rest. 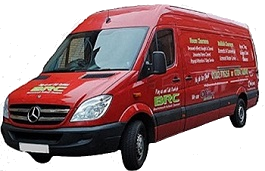 When searching for a removal company, this is definitely a topic that you will want to broach with the company’s representative. It is vital to hire a service provider that is willing to collect all of the junk, no matter the type, from your premises and worksites. As a business owner, you are aware of accidental risks, regarding employees, building structures, and equipment. Business insurance provides an abundance of security for employees, business owner, and clients. An accident can occur at any time, leaving minor or major damage. If the removal company is uninsured and one of the crew members damages any of your property, you will be left with devastating financial loss. You may find yourself amid a massive lawsuit, which will even add more damage to the total sum. This will not be an issue, if the company is fully insured, since you will have the option of filing a claim with their insurance provider. You will be reimbursed for the repair costs, so your business can continue to operate without interference. Hiring an insured removal company will give you peace of mind that you are protected from massive monetary loss. When searching for a Dorset commercial waste removal company, never choose the first name on the list. Always do a bit of research on each prospect, just to make sure that they a rereputable, reliable, licensed, and insured. If necessary, you should ask to see a copy of the license and insurance policy. Remember, no one is going to look out for your own company’s best interests, except for you so when you're ready, make contact with us by calling the numbers above and below or send an email via our Contact Us page.